For a brief second, I found myself wishing this series dealt with MODO at all because “Part 2: Electric Reprint Boogaloo” would be a sweet title. If you’re not laughing, you’re just mad you didn’t think of it, and envy is a stinky cologne, readers. 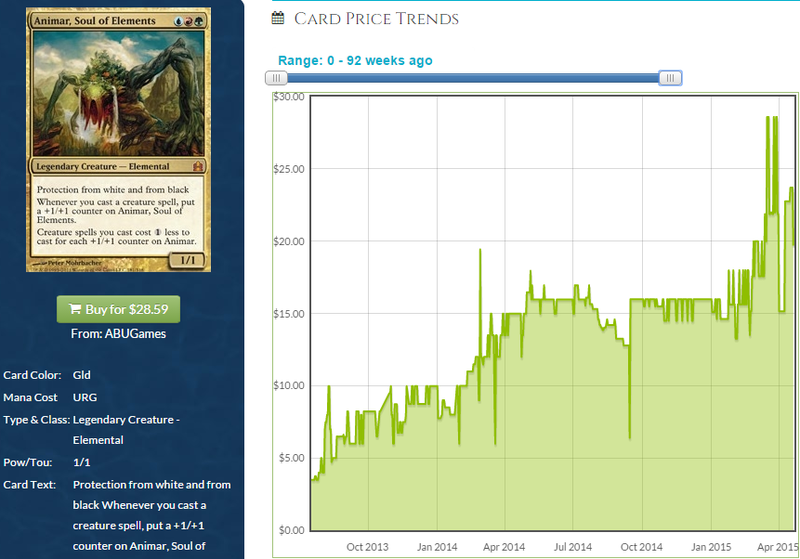 Electronic reprints are relevant to the discussion, but online EDH is so irrelevant it’s not funny. It’s played, technically, but there’s not much money in speculating on such an underplayed and volatile medium, so let’s stick to what we know. 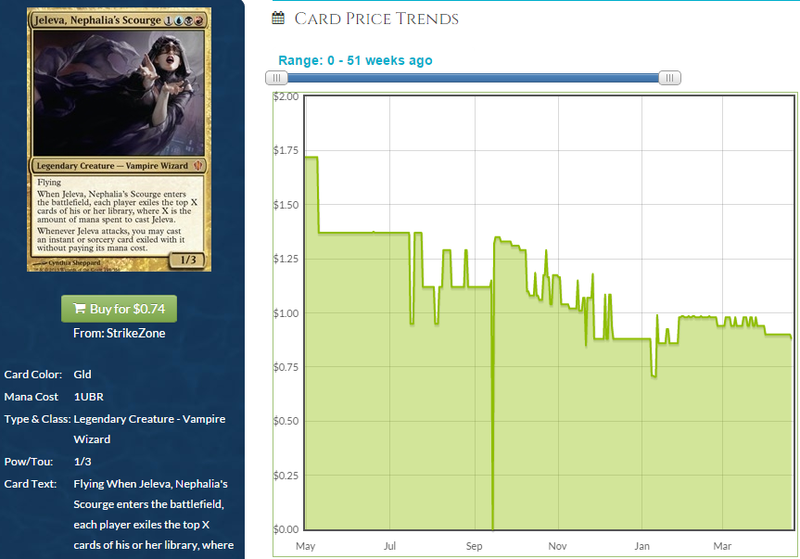 <center>ProTrader: Magic doesn’t have to be expensive.</center> Track your collection's value over time, see which cards moved the most, track wishlists, tradelists and more. Sign up at MTGPrice.com - it's free! I know the title doesn’t really matter in articles, but I’m proud of this one. Shut up, I get to be happy about the little things in life. Seriously, don’t ruin this for me. Magic players are cynical and too-cool-for-school and I’m not going to let negativity mess this one up. I’m genuinely proud of this title. What does the title have to do with anything? Well, basically I want to talk about trash and how to pick it. But this is very specific trash. I mean, specific to the point that “Treasure From Trash” is a better title for the article than something like “One Man’s Trash” because we’re talking about most people’s trash, especially finance people. Now, we’re taught to use every part of the buffalo in MTG Finance, so how could we be possibly considering anything “trash”? I sold empty Revised deckboxes on eBay. Literally. The empty box that used to have cards and a rules insert. I didn’t include the rules insert. People will buy anything. Is this going to be an article about the finance of empty booster pack wrappers or something like that? No, calm down. I was really excited about this title because for like one second I thought the card Scrap Mastery was called Trash from Treasure but I was wrong. Trash for Treasure is a card, but it’s a card that you should buy to jam in the deck with Scrap Mastery. So while I didn’t get everything I wanted here, I’ll live. But if the fantasy didn’t line up with reality quite the way I wanted, why bring this up at all? Well, Scrap Mastery is a card in the Built From Scratch precon and I want to talk about those precons specifically. This is going to be fun. Let’s talk trash, but first, we can talk treasure. Treasure is a card that is worth more than you paid for it. If you buy a card for a certain amount and sell it for more, you win. You found treasure. This is why I love to buy collections: collections are full of treasure. Ideally, I can pay the bulk rate on a collection and pay individually for every card they pick out. Those are my favorite. I pay below buylist on the big cards and then dig through the bulk and see what in there is worth more than half a cent. Even if I have to pay buylist on the big stuff, they usually miss a few things and the bulk is always worth picking. People who make sure they provide you with a spreadsheet of every single bulk rare and how much it is at TCGplayer mid have shipped me “bulk” that had foil Dazes and Cabal Therapys. Treasure hunting in unpicked bulk is the best. But underpaying due to those circumstances isn’t the only way to find treasure. You can also find cards that are just mispriced in stores. You can find cards in a box that you forgot you had. Yes, I bury treasure constantly and I’m always stoked to find it. But another way to get treasure is to pay MSRP and have MSRP be too cheap. What’s a good example of this? We all know one, and maybe this is the one you thought of. Sweet, sweet Mind Seize. You gave us Nekusar, you gave us Jeleva, and you gave us True-Name Nemesis, which was a very, very saucy way to get some value from MSRP. This isn’t the earliest example of this phenomenon, obviously. 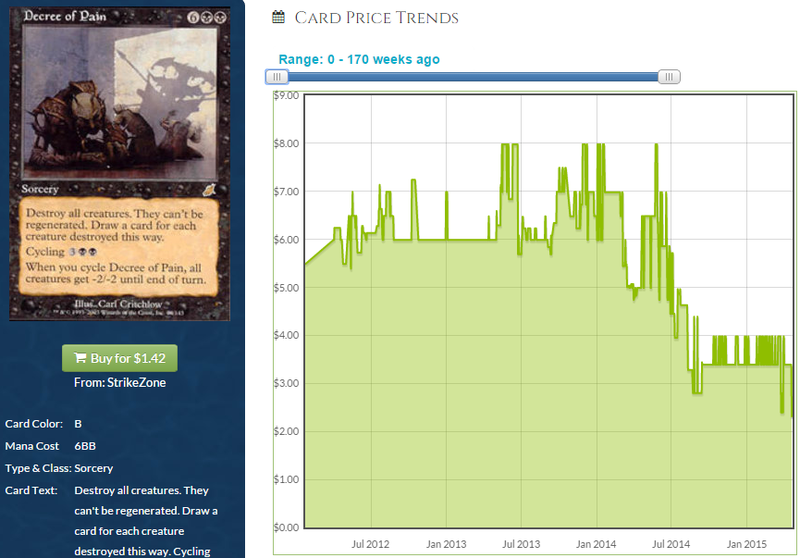 My first real foray into MTG finance was at the expense of the too-cheap MSRP assigned to another preconstructed deck. Remember the $12 deck with the $25 Umezawa’s Jitte inside? I bought so many of these decks that I was able to build a Vintage deck (minus the power) just from the value. But these didn’t just contain a Jitte, they also had a Patron of the Nezumi and a foil basic land. The rest of the cards had value, but not much. So many Rat’s Nests were popped that the market was awash with the common and uncommon rats. Besides, if you weren’t selling on eBay back then, and I wasn’t since I was just a Spike/college student, you had no real chance to make any money off of the rest of the “chaff” in the decks. You pulled out the Jitte and the foil basic and tossed the rest of the trash in a box. By the time Mind Seize came around, people had mechanisms in place for selling cards at retail prices and the idea was more widely-accepted. TCGplayer, PucaTrade and CardShark, in additon to eBay, were all outs for average players to get some value back and for financiers to really benefit from getting a large volume of cards at buylist prices. This outlet was pretty bad for the non-treasure in Mind Seize decks, and that turned out to be about 98 cards. What Became of the Trash? …and pocketed the rest of the trash. Too lazy to immediately list a bunch of sub-$1 cards to try and recoup on my investment, I sat on the chaff from the Mind Seize decks. That is, until I really thought about what I was doing. There are actual cards here! First off, Sol Ring is a card! 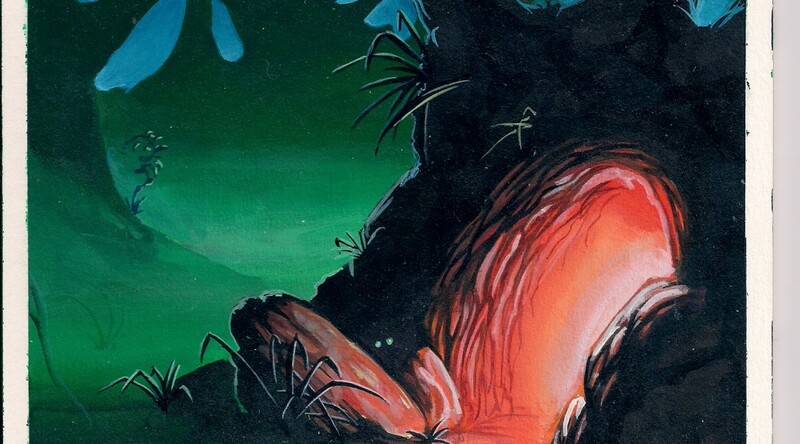 It took a lot of printings for Sol Ring to stay below $5, and the threat of an impending reprint in every future Commander deck is attenuating its growth as much as anything else. Decree of Pain is my favorite wrath. It’s expensive, but it doesn’t have to be. 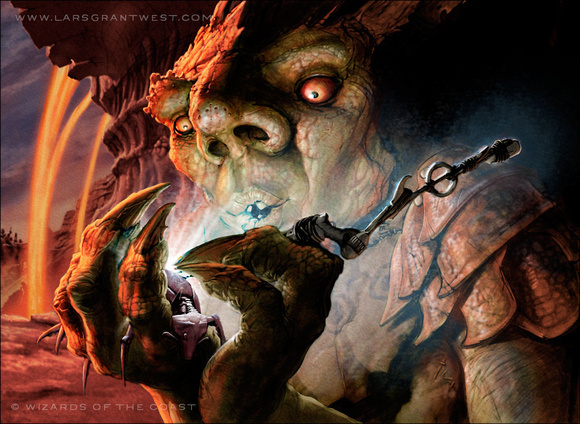 Besides, EDH is a format full of expensive spells, and drawing half of your deck pantsing a tokens player seems fine to me. Look at this. This was a $6 card before the reprinting. Sure, Commander’s Arsenal hurt its upside as much as Commander 2014 did, but this is a solid card and if it’s essentially free. How upset are we? Even the new cards were money initially. However, being lazy and sitting on these cards wasn’t going to work out in the long term. Even the best cards in these decks went down eventually. 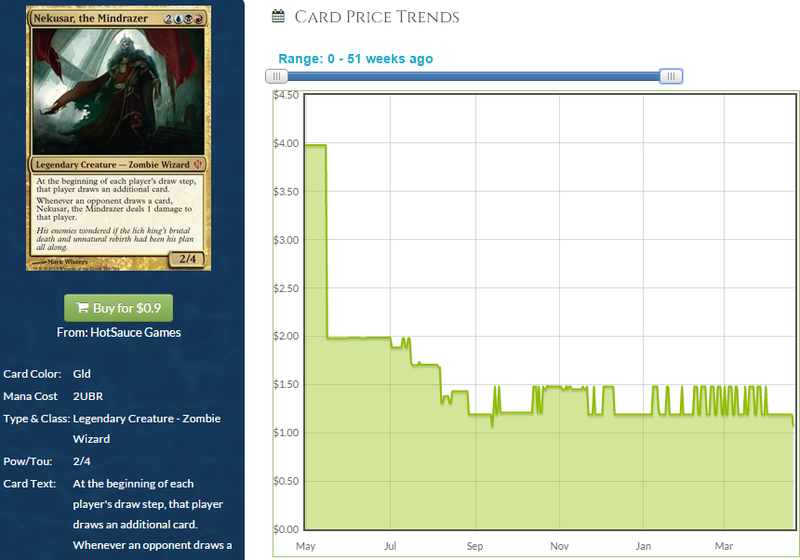 Nekusar was a deck archetype in and of itself but its price tailed down in the short term even before its reprinting was announced. We are still quite a ways away from seeing some of these prices head upward. What can we expect? 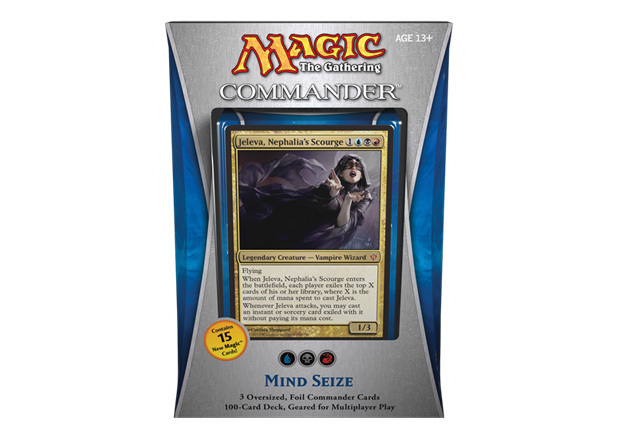 Years after its printing, we’re seeing steady growth in the better commanders from the first Commander sets. Now, those are much more rare and people have had a lot longer to realize they want these cards. Also, the loose copies have largely been concentrated in the hands of few dealers buying aggressively. 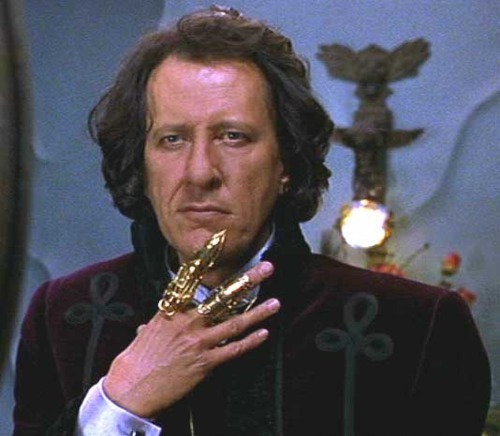 Still, even though Nekusar got a foil printing, it’s not like he’s the only target. True, a lot of these cards are depreciating right now as more and more of the sets were printed and supply just completely overwhelmed demand. 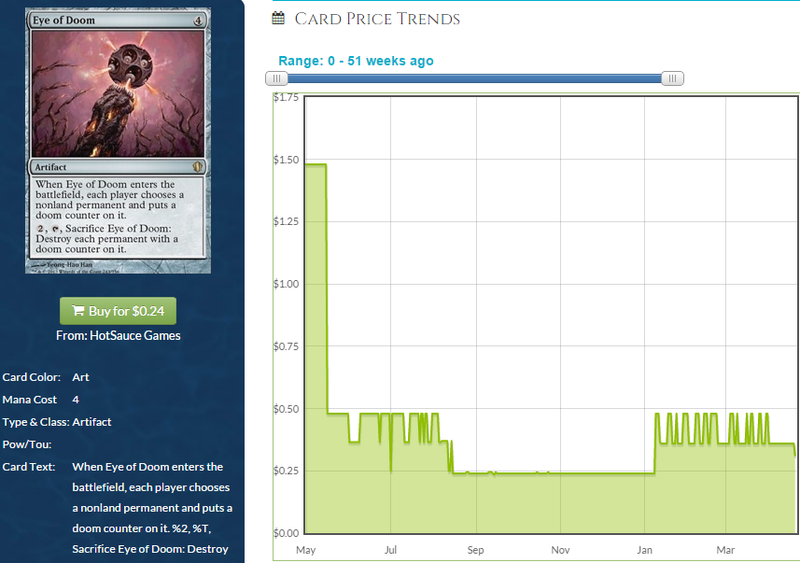 However, it’s pretty likely we could see a recovery, especially since EDH as a format is growing. We’re not risking a lot by buying in now, or even a bit later as the cards continue to depreciate. But how do we do even better financially than buying in now? Once I realized that there was actual value left over in the chaff from busting a bunch of copies of Mind Seize, I thought about the other people busting them. I knew guys locally who had beat me to Walmart and Target when they restocked and had snagged quite a few on their own. I decided to offer them cash for the 98 cards that were not True-Name Nemesis or Baleful Strix. They were happy to get a non-trivial amount of cash on top of the nearly $20 profit they made snagging Nemesis and I was glad to buy cards they undervalued for cheap. It wasn’t just about dumping the stuff while I could, either. There was no hurry to sell stuff like Sol Ring and Command Tower because while reprints hurt these cards and will continue to do so, there is something to be said for having copies on hand to trade to players. Buying a ton of chaff is a very inexpensive way to stock a trade binder full of Rings, Towers, Cruel Ultimatums, Eyes of Doom, and a dozen other saucy cards. Players appreciated having access to those cards the first few weeks because the average player wasn’t as eager to stake out Walmart and Target as the average financier, so a lot of them didn’t ever see a Mind Seize in the wild. 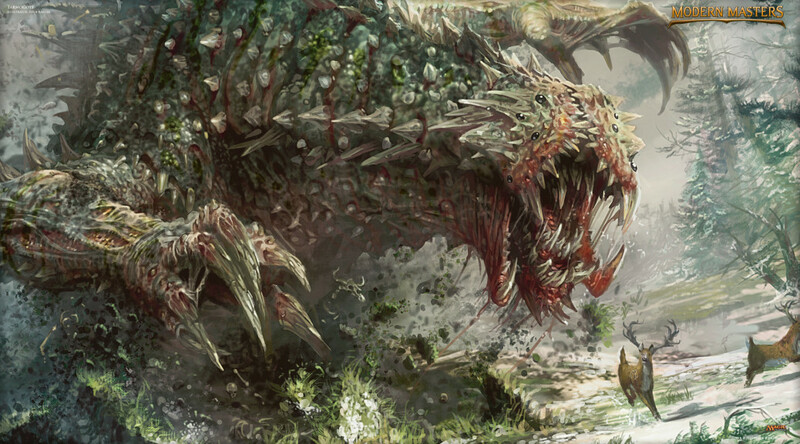 Since True-Name Nemesis is pretty underwhelming in EDH, the players were more interested in the other cards in those decks. Guess who had them because he bought that chaff cheap? Dis guy. 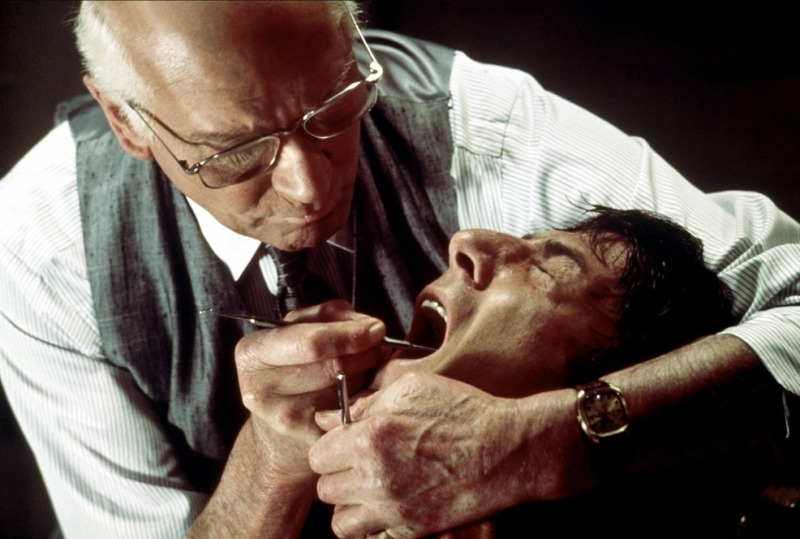 So how likely are we to see another Mind Seize in the future? I’d say pretty likely, considering we had a similar situation surrounding another card: Containment Priest. Check out the deck it came in. Once again, we have some value here and we have a card that was worth more than MSRP. You better believe I snagged a bunch of cheap copies of Skullclamp, Masterwork of Ingenuity, and every other saucy card in the deck. Can we expect that from the next Commander offering? I really think so. With WOTC not really printing cards in Standard with Legacy in mind, if they want to shake up Legacy at all, they are using Commander product as a way to introduce cards to the format, make sure the decks sell well, and generally build hype. It’s working! 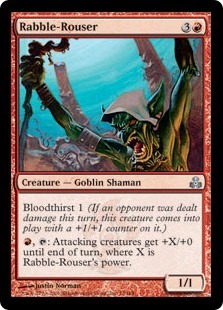 Everyone is super jazzed for the EDH decks when they come out because the spoilers always reveal spicy cards that are desirable outside of EDH. Put yourself in a position to snap up a ton of that “chaff” next time around. It will take a bit for the prices to normalize, and some of them may even correct upward. 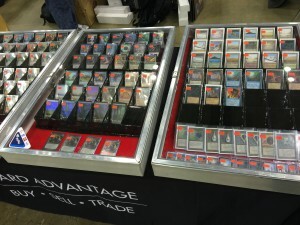 In the meantime, you stocked your binder for almost nothing, got a ton of stuff to turn into cash or Puca Points, and best of all, you didn’t have to be the one to pay MSRP on that sealed product, driving around at midnight to find a Walmart that hadn’t been hit up yet or stalking the guy who restocks the shelves. Let someone else find all those sealed decks for you, then convince him you’re doing him a favor. Say what you want about trash—sometimes it’s pretty nutritious.